Americans have adopted a cycle: caffeinate, stay awake (and maybe for too long), repeat. But today, your customers are looking for more well-rounded and long-term options that get to the root of the stress-fatigue problem and help them feel their absolute best. The solution? Adaptogens. 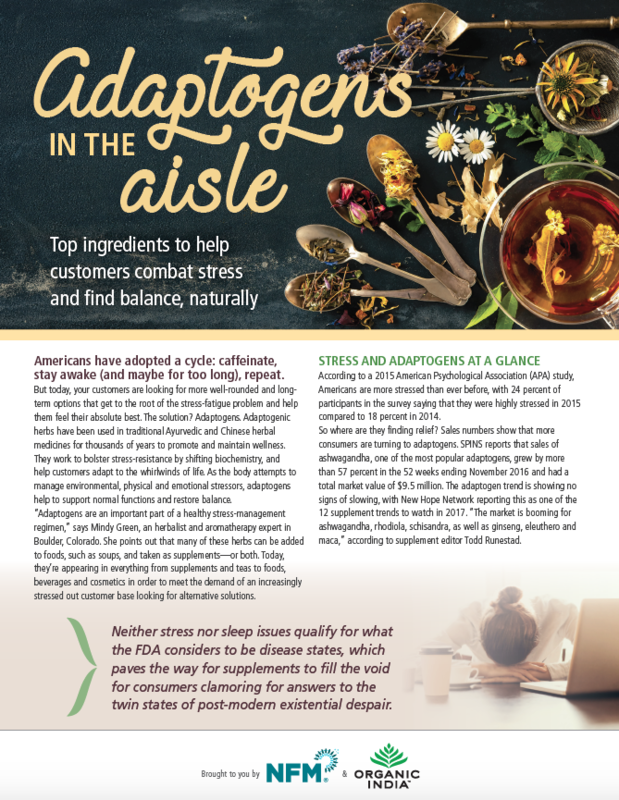 Learn more, including which adaptogens to promote in the aisle, in this download.